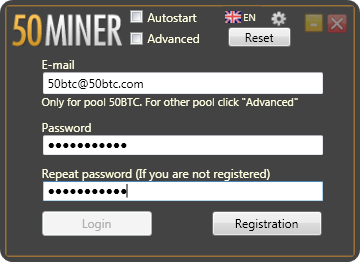 Only username and password to start mining on 50BTC pool. Miner automatically detects video cards and other OpenCL platforms installed on your computer. If there is no necessary OpenCL platform, you will get a download link. 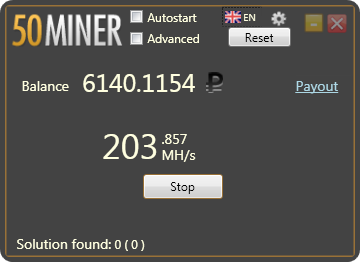 Automatic start of mining with the optimal hardware settings. 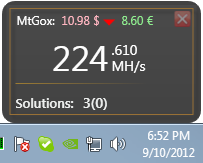 Ability to work in the advanced mode so you can customize all mining settings. Widget contains basic information: speed, accepted and rejected shares. This page was last edited on 1 June 2015, at 01:29.